LOS ANGELES – April 10, 2015 -- Modern luxury cruise brand Celebrity Cruises, known for made-from-scratch, globally inspired cuisine and highly personalized service, is bringing back the wine and food festival it launched in 2014 – a first for a cruise line. The second annual Celebrity Cruises' Great Wine Festival, featuring a robust sampling of fine wines, craft beers, spirits, and Orange County’s finest food, will take place Saturday, May 2, from 2:30 to 5 p.m. at the Great Park in Irvine, Calif. A VIP hour will take place from 1:30-2:30 p.m.
Last year, with Celebrity’s sponsorship, proceeds from the festival increased 200 percent from the year prior. Monies will once again benefit Legal Aid Society of Orange County, a 501(c)(3) non-profit organization that provides free and low-cost legal services to individuals of Southern California who might otherwise be denied access to justice. Since its founding in 1958, LASOC has assisted over 500,000 people. Tickets are $100 per person and a VIP ticket is $150, which allows guests access to the event prior to the public opening. Discounted tickets also are available for government and non-profit workers, as well as sitting judges. Tickets can be purchased online at the Celebrity Cruises' Great Wine Festival website. Key sponsors include COAST Magazine, Yelp, FivePoint Communities and The Notice; Magnum sponsors Rutan & Tucker, Knobbe Martens, Palmieri Tyler and Hueston Hennigan; and the Orange County Restaurant Association members, several of whom have been nominated for or have won the coveted Golden Foodie Award. 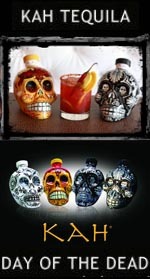 The event will feature more than 35 premium wineries, craft breweries, spirits companies, and award-winning restaurants. A sampling of food and beverage participants slated to delight attendees include the following; updates can be found on the Celebrity Cruises' Great Wine Festival website. Wineries/Breweries: Benziger Family Winery, Clayhouse Wines, Ferrari-Carano, Jackson Family Wines, La Crema, Malibu Rocky Oaks Estate, Quigley Fine Wines, Zaca Mesa Winery, Beach City Brewery, Firemans Brew, and more. Restaurants: Golden Foodie Award nominees or winners SlapFish, The Cellar, Clay Oven, James Republic, Izza Neapolitan Pizzeria, and more. Celebrity Cruises’ iconic “X” is the mark of modern luxury, with its cool, contemporary design and warm spaces; dining experiences where the design of the venues is as important as the cuisine; and the amazing service that only Celebrity can provide. Celebrity Cruises' 10 ships offer modern luxury vacations visiting all seven continents. Celebrity also presents immersive cruise tour experiences in Alaska and Canada. Celebrity is one of six cruise brands operated by global cruise vacation company Royal Caribbean Cruises Ltd. (NYSE, OSE: RCL). 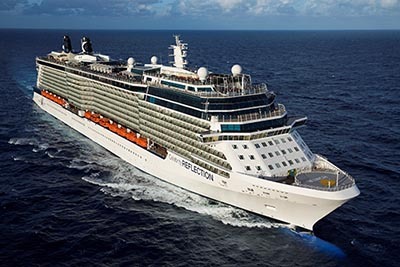 For more information, dial 1-800-437-3111, visit www.celebritycruises.com, or call your travel agent.